A printed 60 page booklet with color screenshots. 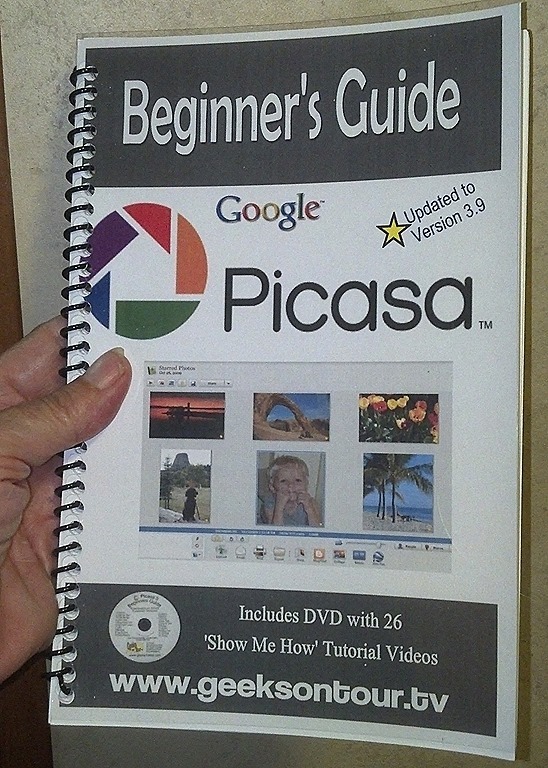 It tells you everything you need to know to get started with Picasa 3.9. Includes DVD with 26 tutorial videos – over 2 hours of instruction! 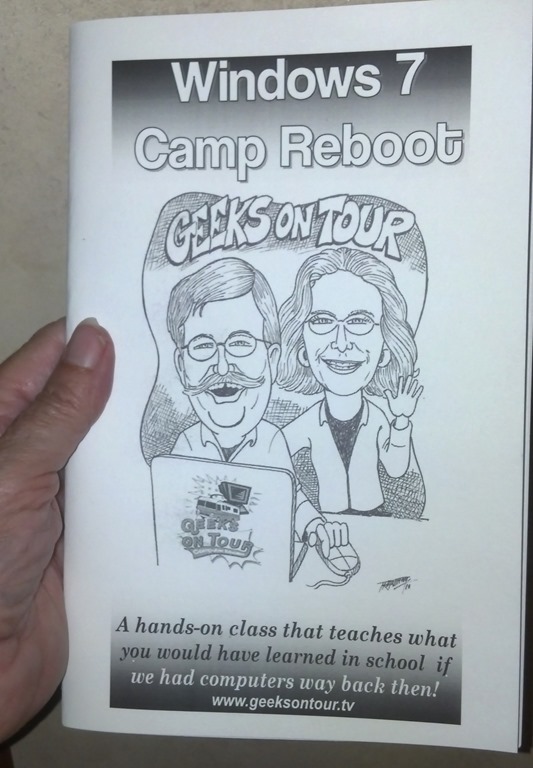 Windows 7 “Camp Reboot” A 44 page self-study workbook. ‘What you Need to Know about your Laptop and Windows 7. 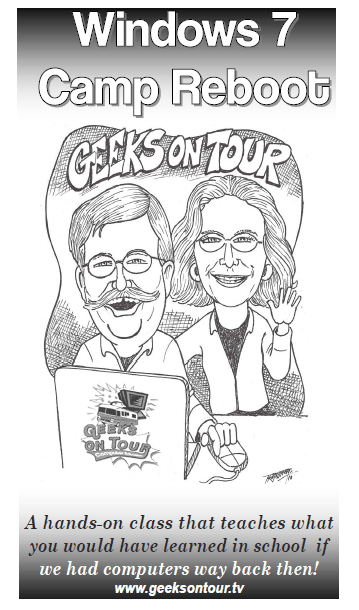 Includes all of our videos (over 200 – about 20 hours) on all of the topics we offer.